After months of winter, the days are getting longer and the temperature finally feels like it is on the rise. Could spring be in the air? Well, based on all the chatter and music from the singing birds in the garden each morning, I think it must be. Another sure sign of spring is all the excitement and last minute preparations taking place for this year’s Canada Blooms. 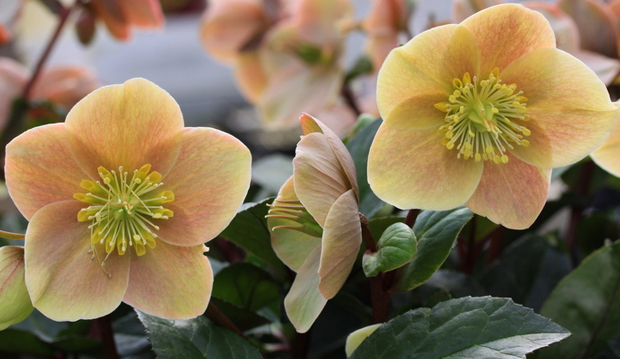 The show’s theme this year is the “Magic of Spring” and the official flower of the show is the hellebore. 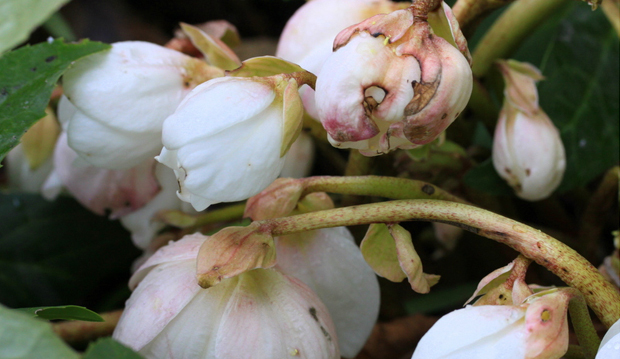 In the TBG gardens, select hellebores have been in bud and flower for many months, well insulated beneath the generous blanket of snow that protected them against the many nights of bitter cold and freezing temperatures that we have experienced this year. Above, the simple and beautiful white blossoms of Helleborus niger ‘Maximus’ have come through the winter with just a few blemishes. I have been a longtime fan of this genus of plants, not only for their lasting winter and spring blooms but also for the wonderful display of rich green foliage they offer in the late summer and fall garden.